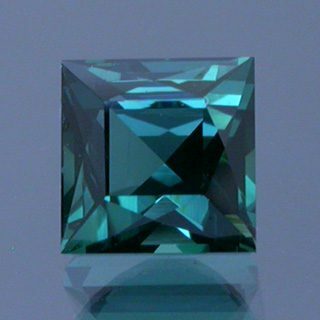 This tourmaline shows a blue-green one way and more of a neon greenish blue the other. It’s a little darker in person than in the picture, but not overly dark. Comments: This tourmaline shows a blue-green one way and more of a neon greenish blue the other. It's a little darker in person than in the picture, but not overly dark.